I am trying to file utility patent - provisional application. Facing these kind of issues? How to deal with it? I prepared all my documents using MS Word or MS Visio - then just saved them as PDF file. Is that an issue? My file are in landscape mode NOT portrait. Is that a problem? 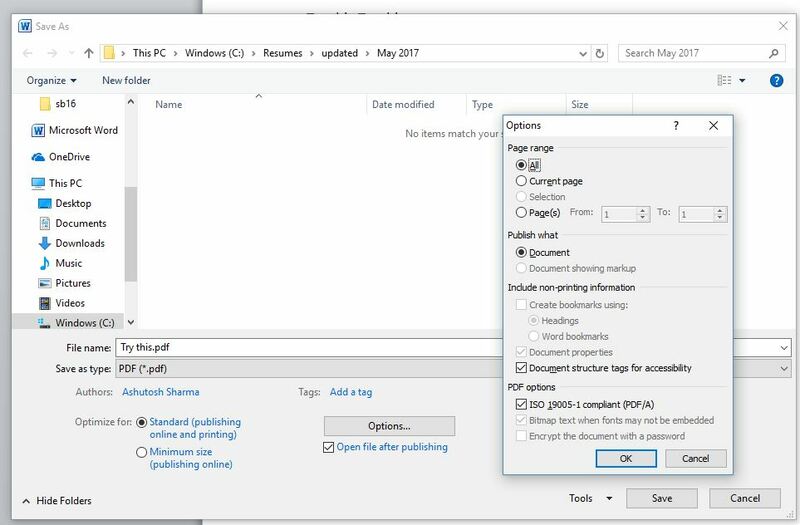 In MS Word(MS Office 2010)-you can make it save the PDF following these steps. Try to save the MS Word document as PDF and check the ISO* checkbox.